On this performing arts tour, students will journey to the top end of Australia and enjoy a series of performances and workshops at a number of local Darwin schools. Performances aside, students will be immersed in Australian history during a walking tour of Darwin alongside visits to the Warradjan Aboriginal Cultural Centre and the Darwin Military Museum. They’ll also get to explore Kakadu National Park and get up close and personal with crocs on the Adelaide River Cruise! Mindil Beach Sunset Market Head to the iconic sunset market where food is the main attraction with cuisines from Thailand, Sri Lanka, India, China, Malaysian, Brazil and many more. Afterwards peddle through the vendors wares of arts and crafts and shop till you drop, catch a fire show, be entertained by buskers and local and visiting arts – the night is yours to enjoy! Performance After breakfast, board your coach and make your way to your first inter-school meet where you'll either enjoy a performance or a workshop. Afterwards enjoy a morning tea with your new friends. Performance After breakfast, board your coach and make your way to your second inter-school meet where you'll either enjoy a performance or a workshop. Afterwards enjoy a morning tea with your new friends. Injalak Pay a visit to Injalak Arts and Craft which is located in Gunbalanya. 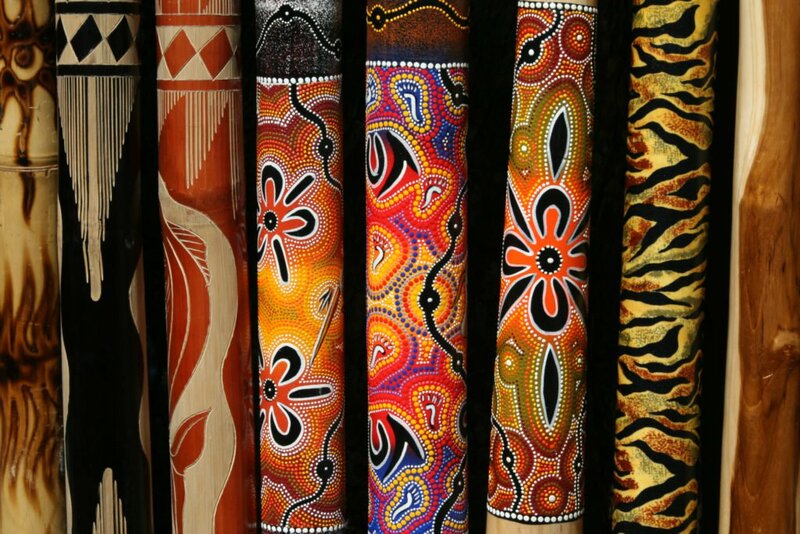 Indigenous community art centres play an important role in the artistic and cultural life of traditional Aboriginals. The artworks include paintings, natural fibre weavings, prints and hand printed fabrics. Performance Today is your final performance, so get ready to put on a show at the Darwin Amphitheatre! Thank you for your interest in our WorldStrides Northern Territory Performing Arts Workshop Tour Tour! Please tell us a little more about yourself so we can get you sent to the right place.